Ever heard the word erosion in Geography or someone talking about it, and you don’t know what it is? Well read on, and we’ll tell you all you need to know. Erosion is where land is worn away by different forces. These forces can be water, wind and ice. It can change the shape and texture of mountains and many other things too. Erosion has actually formed many cool features on Earth like mountain peaks, coastlines and valleys too. We’ve spoken about water, wind and ice. Well these are the main forces that cause erosion, but there are plenty others too. 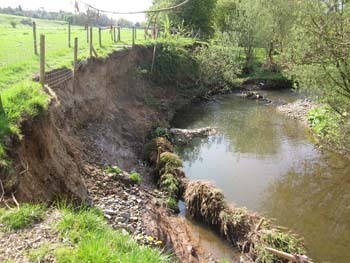 Sometimes erosion can happen really quickly or it can take thousands of years, it depends which force is at work! If you think about a beach and all that sand, that actually comes from erosion. This has been caused by water erosion, where rocks, shells and other things get smaller and smaller by crashing together all the time. Rainfall - Rainfall can cause erosion when the rain hits the surface of the Earth. This is called splash erosion. They can also cause erosion when raindrops gather together and flow like small streams. Rivers - Rivers can create a huge amount of erosion over time. They break up particles along the bottom of the river and carry them downstream. An amazing example of river erosion is the Grand Canyon, which was formed by the Colorado River. Isn’t that amazing how water can make such a change? Waves - Ocean waves can cause the coastline to erode. The amazing energy and force of the waves causes pieces of rock and coastline to break off. This changes the look of the coastline over time. Floods - Large floods can cause erosion to happen very quickly as they act like powerful rivers washing over everything they come into contact with. Wind is also a major type of erosion, especially in dry areas. Wind causes erosion by picking up and carrying loose particles and dust away. It also causes erosion when the flying particles crash into the land and break off more particles. Even though we haven’t mentioned glaciers yet, they are like giant rivers of ice that slowly move around. As they slowly move, they shape mountains and also carve out valleys. Nature is truly astounding. Living organisms - Small animals, insects, and worms can also cause erosion as they break up the soil, making it easier for the wind and water to carry it away. 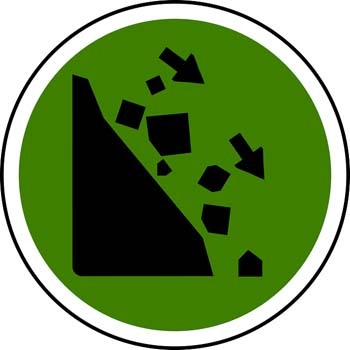 Gravity - The force of gravity can cause erosion as it pulls rocks and other particles down the side of a mountain or cliff. It can also cause landslides which can drastically erode an area. Temperature – This is pretty amazing. When the temperature changes and the sun heats up a rock it can actually expand and crack. Pieces will break off over time and there you have erosion once again. Us humans have increased the rate of erosion in many areas. But how? It happens through farming, ranching, cutting down forests as well as the building of roads and cities. We’ve caused about one million acres of topsoil to erode each year. That is a lot of erosion that we’ve caused. How can we help with erosion? We can actually do quite a lot of things to decrease the amount of erosion we’re causing. We can plant trees around farmland to protect it from the wind, move herds around so grass grows back and to plant plenty of trees ourselves, to make up for those that have been cut down. The word erosion comes from the Latin word ‘erosionem’ which means ‘a gnawing away.’ How appropriate! Scientists believe that the Colorado River has been eroding the Grand Canyon for millions of years. Hardly surprising if you picture the Grand Canyon. Watch out for dust storms. Massive dust storms can be caused by wind erosion. The fastest glacier ever moved over 11km in three months. That is a lot for a glacier! We sometimes find fossils in sedimentary rock and these are normally uncovered by erosion. So at least erosion can do some good as we find out about ancient times!